Today, a cow attempted to run with the wind in Jamaica, Queens. The animal galloped around the campus of CUNY’s York College with no restraints, and no cares. DNAInfo reported that the animal, which escaped from a nearby slaughterhouse, was eventually captured, but don’t think of the cow’s unknown fate. Live in the moment. 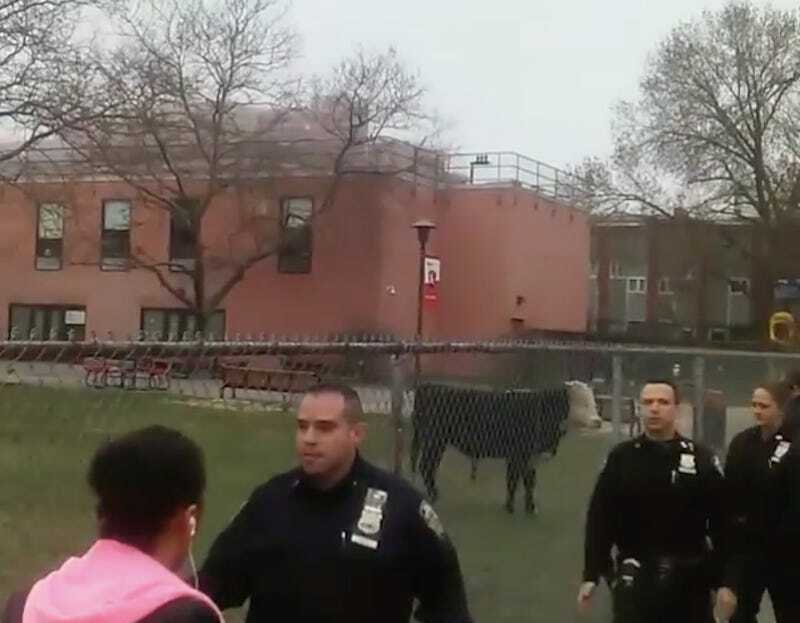 This cow might be back in a pen, or whatever designated area is chosen for it, but it’ll always have this fleeting experience, where it dared to break free and trot around a CUNY campus.